These kids aren't just practicing their reading skills - they're also learning what it means to be kind. But as with many great lessons in life, they weren't the only ones benefiting. 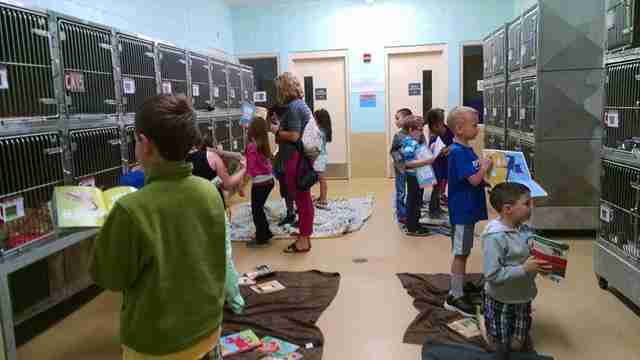 Two days this week, teacher Lauren Demarest led all the first graders at Kinard Elementary School, in South Carolina, on the most enriching (and adorable) field trip imaginable - to the York County Animal Shelter. 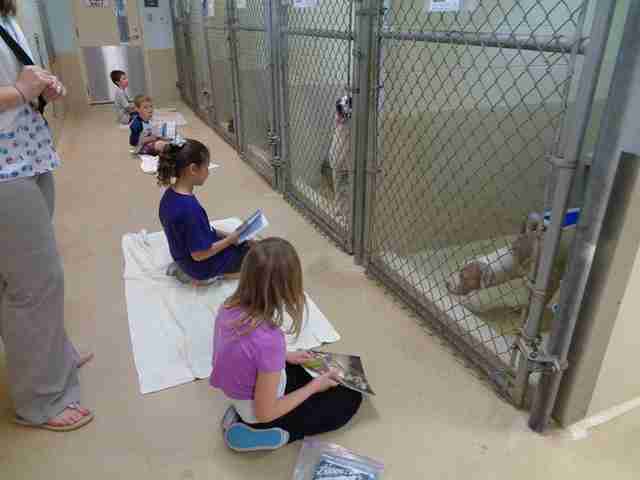 There, with a book in hand, each student was asked to sit next to a lonely pet cooped in a kennel and read a story. "It was just so powerful," Demarest told The Dodo. "The kids were so excited, and the animals loved it too. By the second day, we could already see a difference." 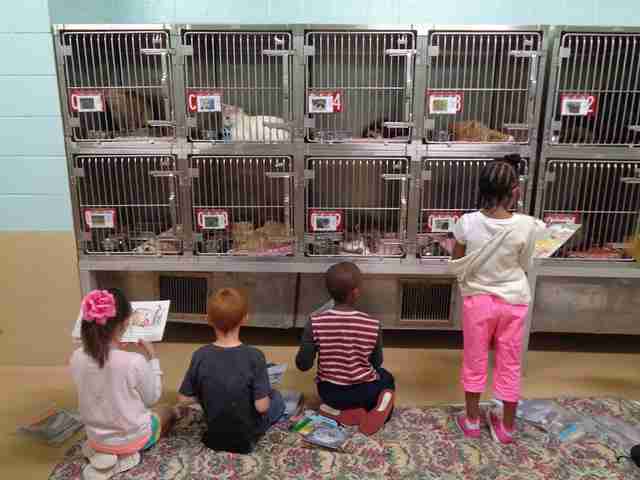 The simple gesture not only gave the kids a chance to improve their skills reading aloud to a nonjudgmental audience, but it also engaged animals. ... or took a seat by their side so they could bask in the warmth of companionship. 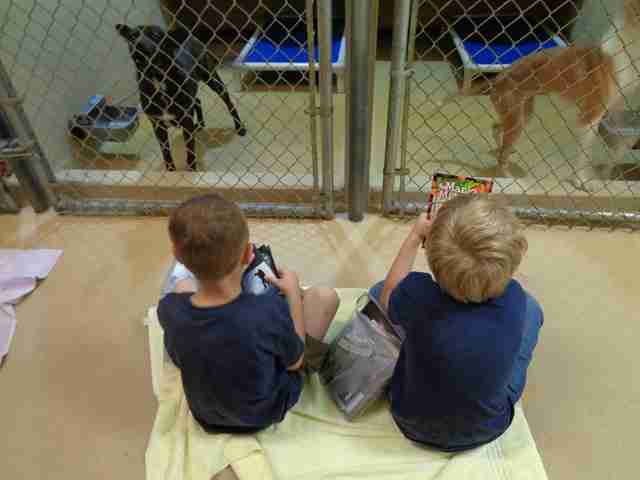 Of course, dogs at the shelter didn't miss out on the experience. Other students showered them with attention, too. 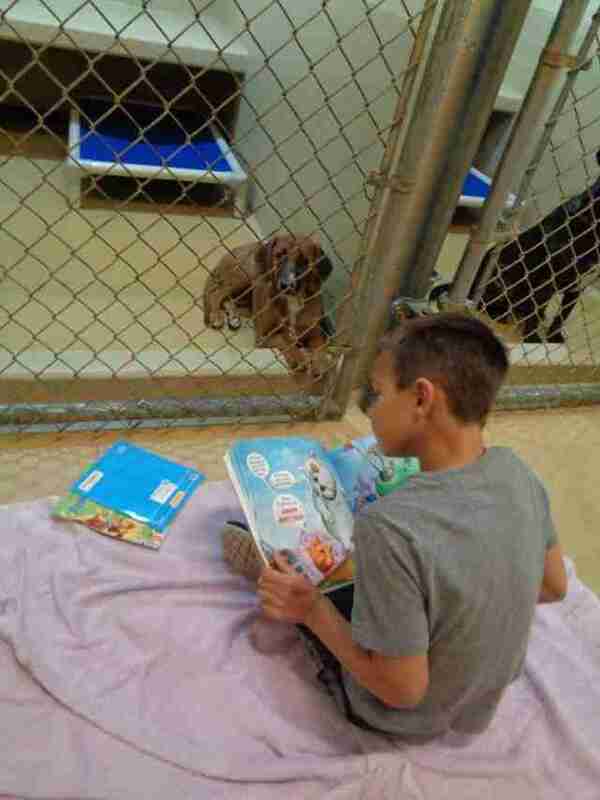 Even the shiest of the pups, who might normally be cowering in the back of the kennel, was drawn toward the front to listen to the students reading. 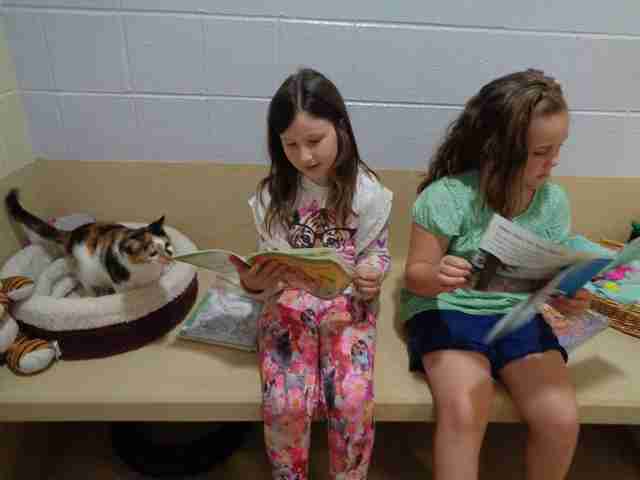 Thanks to the kids, those animals were able to take a break from the monotony of their day-to-day lives at the shelter, and they got the chance to feel loved. The experience proved truly life-changing. 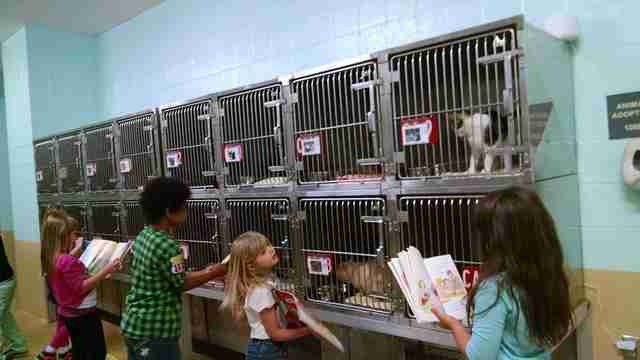 Since the first graders' sweet field trip, around a dozen dogs and cats have been adopted due to the exposure the kids helped bring them. 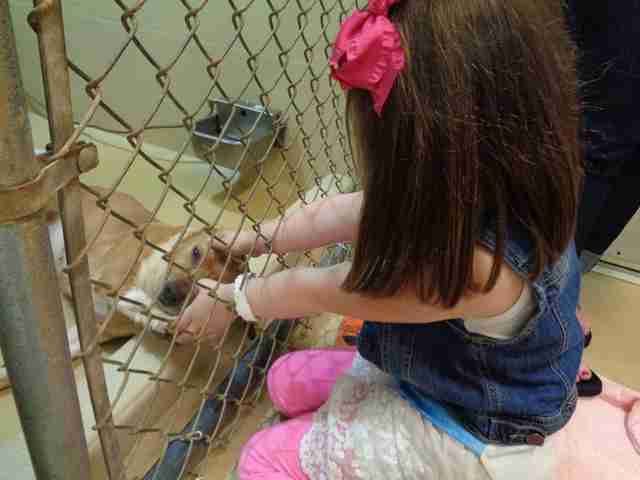 "The kids feel like they saved their lives by helping them find forever homes," Demarest said. "They're feeling so much pride. It really is beautiful." A spokesperson from Friends of York County Animal Shelter confirmed to The Dodo that there has been a surge in adoptions in recent days. "On Tuesday we had a full house, dog wise, and today better than half of the dog kennels are now empty," said the spokesperson. 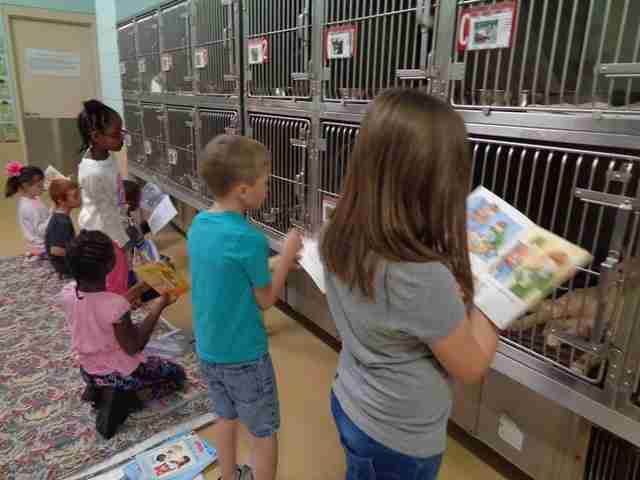 "It was an awesome experience for the children, the shelter animals and our volunteers. I am very hopeful we can do it again." "Our students are learning to be wonderful contributors to their community and society." 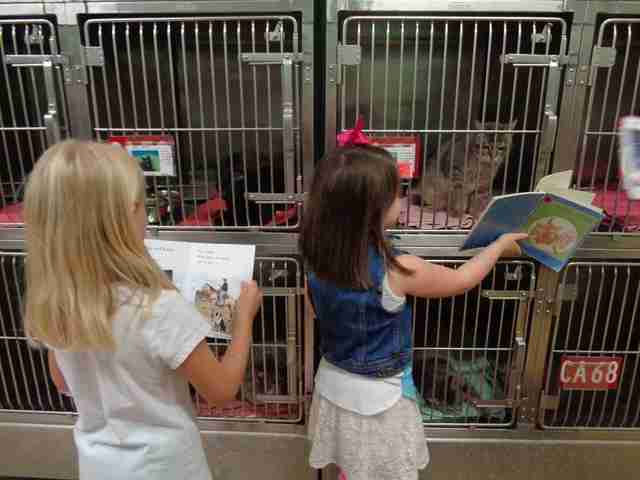 This isn't the first time we've seen animal shelters inviting kids to read to adoptable pets - but we're thrilled to know this win-win idea is part of a growing trend.